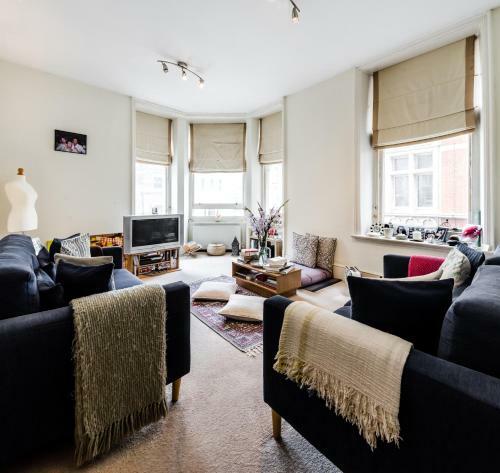 Situated 200 metres from Charing Cross Road in London, this apartment features free WiFi. The unit is 300 metres from Trafalgar Square. There is a seating area, a dining area and a kitchen equipped with a dishwasher. A TV is offered. Booking.com From 213.75 € Direct price less expensive ?